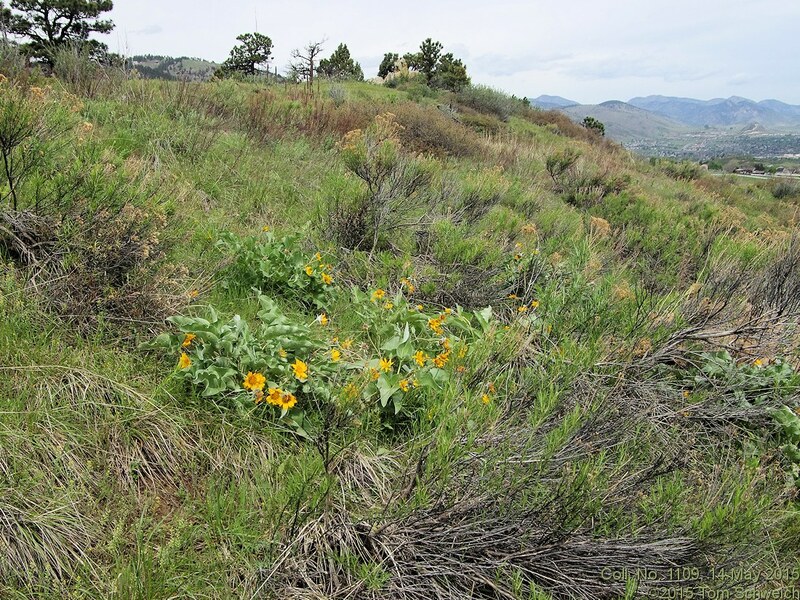 Checklist Flora of Native and Naturalized Vascular Plants of Golden and Vicinity, Jefferson County, Colorado: 9330510280Balsag010. Tin Cup Ridge (social trail), Jefferson County, Colorado: at Coll. 1109. Field Notes: Coll. No. 1109, 14 May 2015. Other photos about Species - Asteraceae or Balsamorhiza sagittata.